The move follows the US Environmental Protection Agency’s recent decision not to ban new asbestos products outright. The EPA said it would evaluate new uses of asbestos but environmental groups have criticised the agency for not going further by barring them on public health grounds. 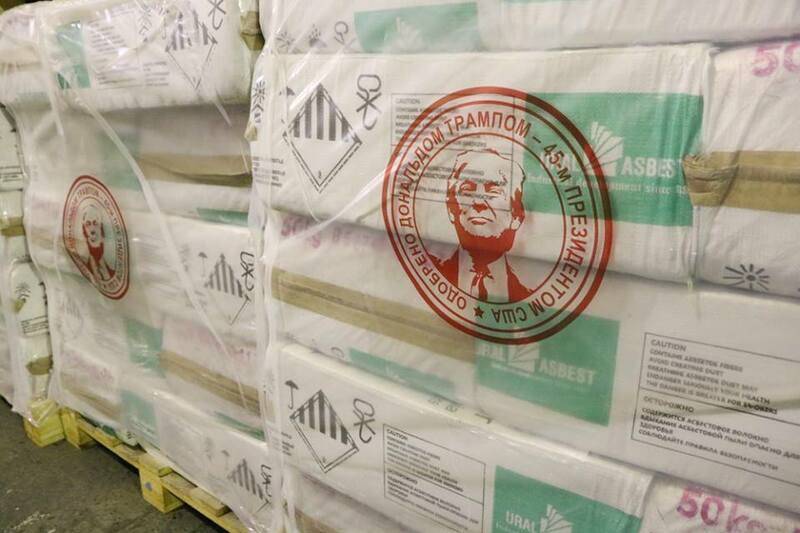 In a Facebook post, Uralasbest published pictures of its Trump-adorned chrysotile asbestos, writing: “Donald is on our side!” Uralasbest, which is located in the mining city of Asbest in the Ural Mountains, is reported to have close ties to Russian president Vladimir Putin. Trump has been a vocal fan of asbestos for decades, calling it “100 per cent safe, once applied” in his 1997 book ‘The Art of the Comeback’. 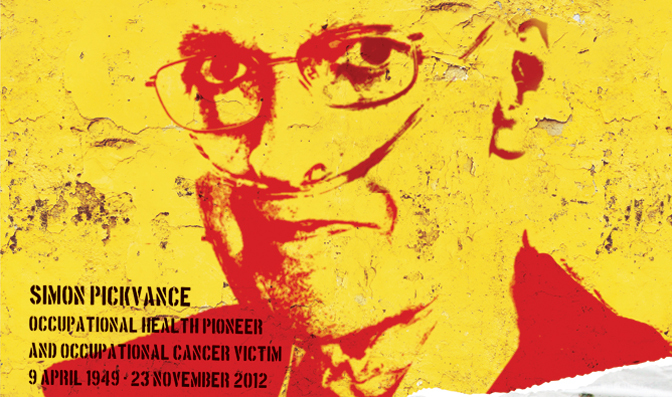 He also described the anti-asbestos campaign as a mob conspiracy. In 2012, the future president tweeted that the World Trade Center “would never have burned down” after the 11 September attacks if asbestos hadn’t been removed from the building. The Twin Towers did not burn down, they collapsed as a result of structural damage caused by a terrorist attack. “By allowing asbestos to remain legal, the Trump administration would be responsible for a flood of asbestos imports from Russia and other countries into the US, as well as the wave of illnesses and deaths that will continue for years to come,” said Linda Reinstein, co-founder and president of the Asbestos Disease Awareness Organization (ADAO). Russian asbestos producers now coordinate the global asbestos industry promotional campaign, using a well-resourced public relations campaign to target exports on developing nations and to attack their critics.